Our bodies are chemically composed to feed on macro and micro nutrients, nutrients which fuel our cells and allow them to grow, develop, and perform. Most of these nutrients are found in small amounts within the foods that we eat. These micro nutrients include vitamins, minerals, and amino acids, all vital to normal, everyday bodily functions that keep us alive. And what’s more, these nutrients are natural to our human bodies. The very genetic makeup of our bodies are based on these naturally occurring nutrients which allow us to live. And the continual ingestion of these nutrients keeps us alive. While we benefit greatly from the nutrients we absorb through the breakdown of foods and supplements we eat and digest, injectable nutrition provides a different approach to nutritional supplementation. Administration of these vital nutrients via an injection or intravenously allows for much higher doses of these nutrients to be infused directly into the bloodstream, and thereafter, carried directly to your cells. Our bodies can absorb them more rapidly and more efficiently than the usual means of digestion by bypassing the gastrointestinal system and allowing for direct supplementation. In addition, the administration of these nutrients intravenously can achieve serum concentrations that simply are not obtainable with oral administration. WHY SUPPLEMENT WITH INJECTABLE THERAPIES? Not only are these injectable nutrients more efficient, they can also have incredibly therapeutic and pharmacological effects when injected, without the side effects often seen with many prescription medications. A few conditions that patients have reported benefits using these techniques include: anxiety, depression, muscle pain, immune disorders, hypertension, COPD, asthma, fibromyalgia, fatigue, viral infections like the common cold, allergies, body fat accumulation, and, perhaps most importantly, dehydration. Different combinations of these nutrients can be administered to improve athletic performance, eliminate hangovers, alleviate symptoms of alcohol and/or drug withdrawal, effectively combat viral and bacterial illness such as the common cold and the flu, increase your energy and endurance, alleviate seasonal allergies, provide vital nutrients during pregnancy, reduce the symptoms of and even treat asthma, alleviate migraines and cluster headaches, and have even shown signs of reducing the risk of cancer and cardiac diseases. In addition to having direct pharmacological effects, injectable nutrient therapy is more effective than oral treatment for correcting intracellular nutrient deficits. The injectable therapies allow your cells to be flooded with nutrients, allowing them to replenish any deficiencies, such as magnesium, a vital component to all cellular functions. Simply put, injectable nutrition replenishes, restores, and revitalizes your body from the cellular level. Perhaps the best news of all? This method of nutritional supplementation, when done properly, is very safe, with little or no known side effects. Many studies have shown that injectable nutrient therapy works faster, produced more sustained improvement, and causes considerably fewer side effects than conventional therapies received. Our team of pharmacists and physicians have formulated and developed our treatments to be the safest and most efficient they can be. Whether you are looking for increased athletic performance, a cure from that cold you just can’t seem to kick, or looking for overall detoxification, we have developed products that use combinations of intramuscular or subcutaneous injections, intravenous pushes, and intravenous drips to allow your bodies to absorb the nutrients as efficiently as possible. Our injections are mixed in-house on the day of your treatment inside of our sterile double hood. Because each nutrient is composed differently, and due to chemical reactions between the nutrients, our therapies combine delivery methods allowing for the most efficient delivery possible. After administration of your treatment, we follow the nutrient therapy with infusion drips consisting of 500-1000 mL of fluids containing trace minerals and electrolytes to hydrate your body. The use of injectable nutrition was first introduced by John Myers, MD, as an integral part of his treatment programs for various medical problems. Many of his patients had been receiving these injections monthly, weekly, and even more than twice weekly for as many as 25 years in some cases. Dr. Myers used his specially formulated treatment to alleviate and even cure a wide range of problems, including fatigue (including chronic fatigue syndrome), depression, chest pain, acute asthma attacks, allergies, migraines, fibromyalgia, acute muscle spasm, upper respiratory tract infections, chronic sinusitis, hyperthyroidism, athletic performance, and even narcotic withdrawal and cardiovascular disease, among other disorders. The “Myers’ Cocktail”, as it has famously been called, has been found by many practitioners to be a safe and effective treatment for a variety of clinical conditions, often producing dramatic results. In many instances, this treatment has shown to be even more effective and more tolerated than conventional medical therapies, including prescription medications. Upon administration, a Myers treatment has been shown to produce a gratifying response within even a few minutes. 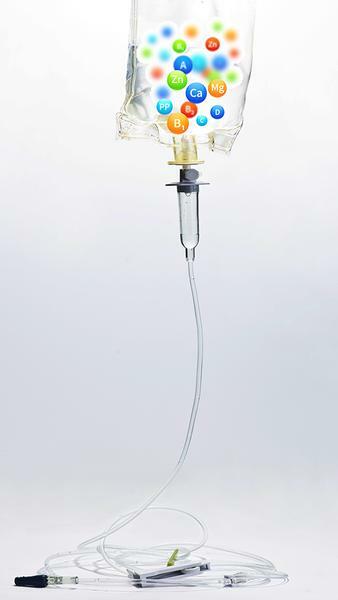 Widespread appropriate use of this treatment has shown that the Myers Cocktail would greatly improve the health of many individuals, while likely reducing the overall cost of healthcare. Today, many physicians recommend or even administer a Myers Cocktail, and it is only increasing in popularity because of its wide ranging benefits. 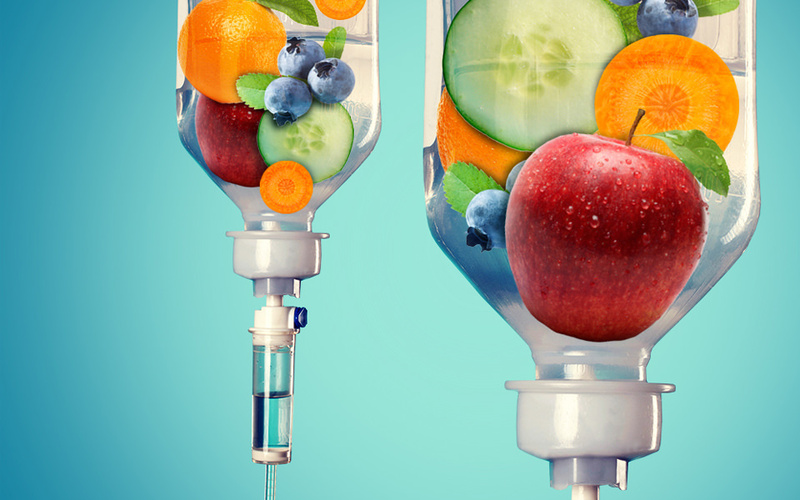 In addition, many relatively healthy patients have been seeking out periodic Myers Cocktail infusions for preventative measures and overall well-being. While the exact recipe of the original Myers Cocktail is unknown, Dr. Myers himself may have varied the doses depending on the condition of the patient and the use. The nutrients comprising the Myers Cocktail include: Vitamin C, Vitamin B Complex, Calcium, and Magnesium. At Vitaliv, we have developed most of our treatments, including “Reset”, our own version of the original Myers Cocktail, using the Myers formulation as the base. Depending on the category and use, we have tweaked our formula slightly for each treatment, and added other nutrients that have shown to be beneficial for that specific treatment. For instance, our athletic recovery and performance treatments contain a Myers base, as well as glutathione and a variety of essential amino acids clinically shown to improve recovery time and enhance productive output, among other nutrients.